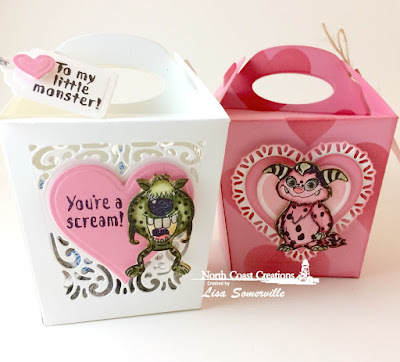 Aren't these just the cutest Valentine Treat Boxes! To create the boxes I used Our Daily Bread Designs Glorious Gable Box Die, and embellished the box with additional ODBD Dies (see complete supply list below). 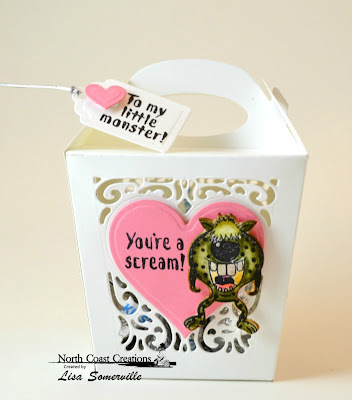 The cute stamps are from North Coast Creations Little Monsters stamp set, these images can be easily die cut using the Monsters die set. Click here for a video tutorial to see how easy it is to create and assemble the Glorious Gable Box die. 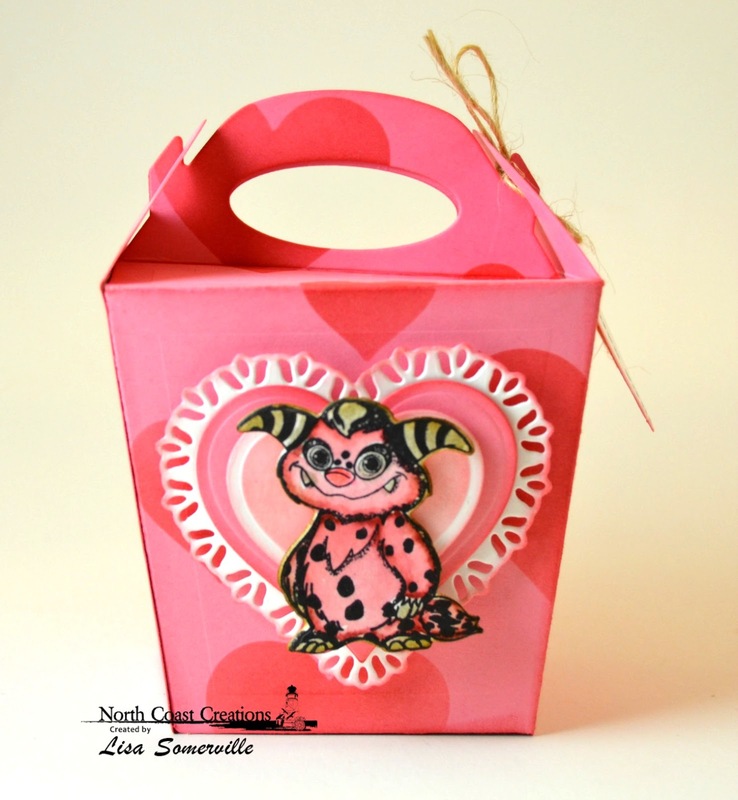 On this next box, I used the Glorious Gable Box die without the inset dies. I used the Layering Hearts die set to create a template from card stock so that I could use it as a stencil to add the colored hearts to the box. Adore those fun little Monstahs. Cute, cute, cute and more cute!